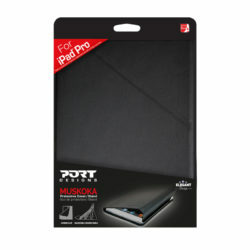 Port Designs’ Muskoka 12.9” Tablet Case is a protective case for your Apple iPad Pro 12.9″. Its casing is made from durable shell molded ABS and coated in sleek faux leather. This case can be used as a video booth for your tablet with 100% adjustable viewing angle. 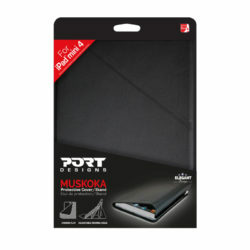 Port Designs’ Muskoka 4″ Tablet Case is a protective case for your Apple iPad Mini 4. Its casing is made from durable shell molded ABS and coated in sleek faux leather. This case can be used as a video booth for your tablet with 100% adjustable viewing angle.